Today, June 19, marks Charles Spurgeon’s 181st birthday. As one of the most famous preachers of the modern era, Spurgeon’s incredible wisdom has benefited Christians well into the present day. His thoughts on the the Bible are prolific, spanning volumes of written word and thousands of sermons. But with such a huge corpus, it can be hard to pin down exactly what he thought on a particular passage of Scripture. To alleviate this problem, Lexham Press has designed the Spurgeon Commentary series to tie Spurgeon’s thoughts directly to the biblical text. These commentaries make Spurgeon’s content accessible—there is no longer a need to comb through many volumes of Spurgeon’s content looking for one nugget of wisdom. These four new volumes are enhanced with the same features as the previous volumes in the series. They direct you to places where Spurgeon explicitly cites a verse and where he alludes to it—using specialized, technology-based research to offer you the best of Spurgeon. They highlight illustration content—illustrations accompany the commentaries and are tagged with preaching themes, so the preacher looking for an illustration relating to either a topic or a verse will be able to find one easily. 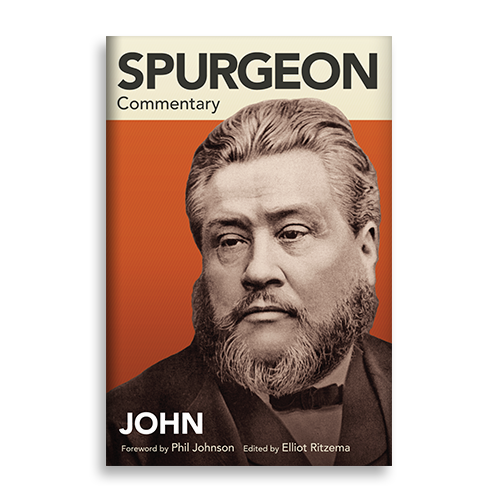 It highlights application content—each section of Scripture includes at least one application from Spurgeon based on those verses. It saves time—reading Spurgeon for pleasure is wonderful, but preachers and teachers working under a deadline need ways to streamline their sermon preparation process. These commentaries do all this by trimming the excess out of Spurgeon’s sermon archive and increasing functionality, usability, and readability. Outdated language has even been updated, making Spurgeon’s writing easier than ever to understand. Benefit from the incredible wisdom of Charles Spurgeon, passage by passage, with two new Spurgeon Commentary Collections—Old Testament and Gospels. Get them both today!